Pizza is one of this nation’s most popular food items! Pizzas are widely accepted by the public and, because of their popularity, are easily promoted by any age group. OUR pizzas can make your job even easier because of our quality products and our over 30 years as a highly recognizable pizza provided through our Ron & Shirley’s Restaurants and then our catering/fundraising business. First … contact our fundraising department at 314-352-0045 to arrange a date and time for a tasting! presentation. 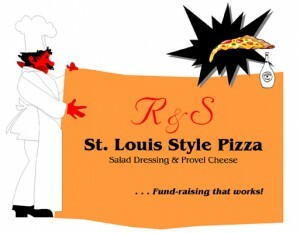 We will come and present our program to you and display our excellent pizza and salad dressing for your group’s review. Any questions you may have can be answered at that time. Determine the number of sellers you will have, the beginning sale date for the program, the finish date and a final delivery date. We will deliver to you Sales Sheets and other promotional materials to assist in selling. 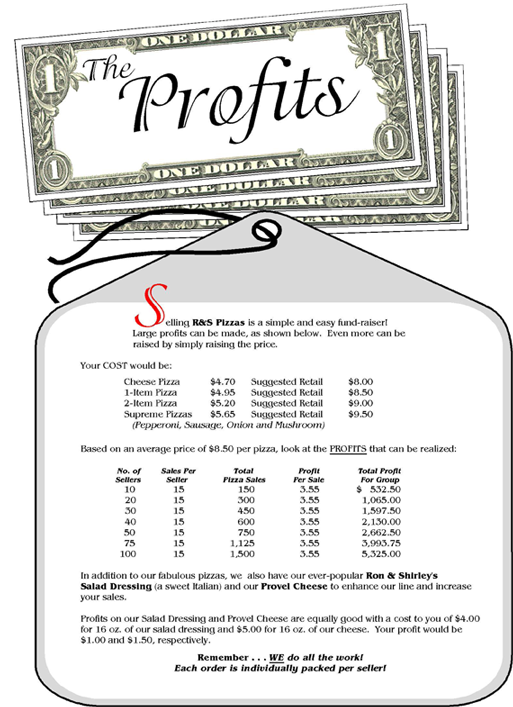 Begin selling! Don’t forget neighbors, churches, family and friends. Set quotas for sellers to meet and make it fun. Reward sales with exciting prizes. 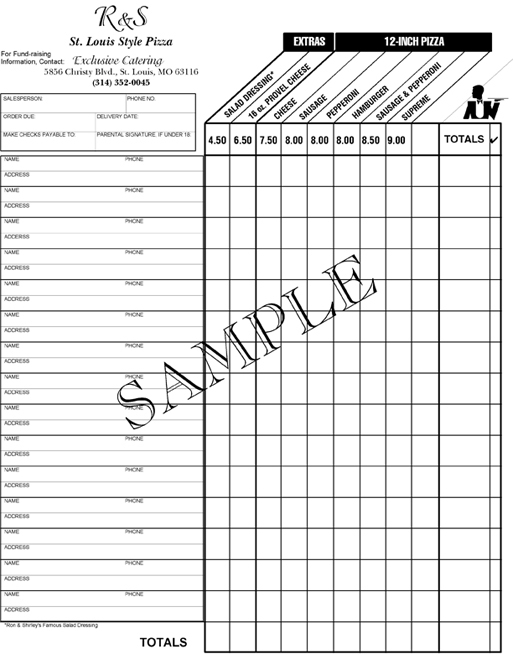 Turn in the forms once selling is complete. We will process the order and deliver it to one location for distribution on the date chosen for final delivery. All pizzas are delivered frozen to hold their flavor and superior quality. Payment is due upon delivery in the form of one check.